George Dean Cook, age 96 years, 10 months, and 15 days, of Lamoni, Iowa, son of John William and Belva Dora Justice Cook, was born December 26, 1909 at home in Pawnee, Missouri. He departed this life on November 10, 2006. George was the fifth child of a family of eight children. His mother passed away when George was young, leaving his father to raise him and his siblings alone. At age 17, George moved in with Joe and Bertha Shackelton, assisting Joe with the chores and farming. At age 21, George married Juanita Lucille Shackelton on December 15, 1930. They continued to live and work for Joe and Bertha for two more years. In 1932, George and Juanita moved into their own home, just south of the Missouri line. George Continued to hire out as a farmhand to various farmers. In 1937, George and Juanita moved one mile north of the Missouri line, in Ringgold County. He hired out as a farmhand for Frank Gilliland for seven years. In 1944, George and Frank started farming on shares, and this continued for 22 years. In 1966, George and Juanita moved to the Evergreen community, farming what was known as the South Prall Place. George was baptized in the R.L.D.S. Church in 1974, in Evergreen. In 1976, George and Juanita moved into Lamoni, and George continued to hire out as a farmhand for John Slauter, Frank Hough, and others. In 1977, Juanita passed away. George met Wilberta Neal in 1979, and they had a great companionship until her passing in 1994. 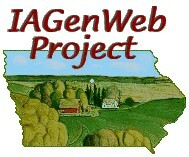 George maintained his home in Lamoni until July 2005. Moving in with his niece and family south of Kellerton, George enjoyed watching the animals, crops, and children grow. Preceding him in death were his parents; wife Juanita; brothers: Bert, Dave, and Garland; and sisters: Anna, Bessie, and Mabel. Left to cherish his memory are his sister Ruth Beasley of Leon, Iowa; sister-in-law Bonnie Scott and husband Blaine of Kellerton, Iowa; nieces and nephews; and a host of friends. Uncle George will be missed by all who knew and loved him.